Some cool stuff from NASA, an opportunity for developers who really want to help with a great cause! 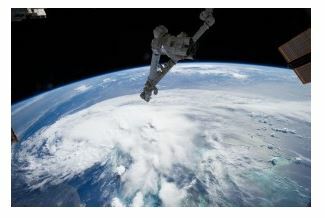 NASA in partnership with the U.S. Geological Survey (USGS) is offering more than $35,000 in prizes to citizen scientists for ideas that make use of climate data to address vulnerabilities faced by the United States in coping with climate change. Yesterday was all about climate and climate change! A high profile event took place in D.C. yesterday to formally launch the Climate Data Initiative, an ambitious new effort bringing together extensive open government data and design competitions with commitments from the private and philanthropic sectors to develop data-driven planning and resilience tools for local communities. Tech leaders from Esri, Google, Intel, NOAA, NASA and other orgs were on hand to offer their commitment to the effort.